You could be in charge of selecting our Graduation Speaker! Want to Make Sure 2019 Has A Great Graduation Speaker? Apply Below BY TODAY! Invite Your Friends To Apply! 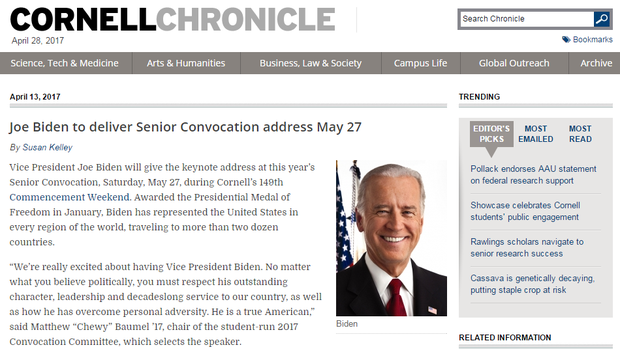 2017's Convocation Chair invited Joe Biden; Who will you invite for us?